Packed full of minerals, prebiotic fibre, hormone modulating compounds and easy to prepeare this Mediterranean inspired recipe balances blood sugar and enhances bone density. 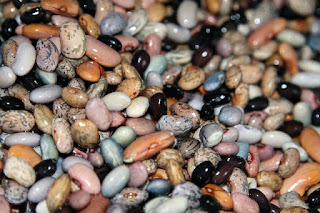 Rinse soaked beans and cover with water. Bring to boil and simmer for 1 hour or until tender. Drain. Fry garlic in butter and oil until golden (seconds). Add drained beans, roughly chopped spinach and fry until spinach is wilted. Season with salt & pepper and add balsamic vinegar. Serve with rice, quinoa, root vegetable mash or with salad.